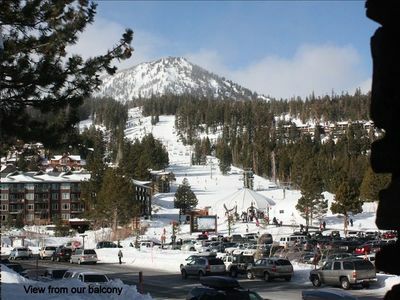 Family and friends are sure to have a great Mammoth Lakes vacation by staying at Winterset. 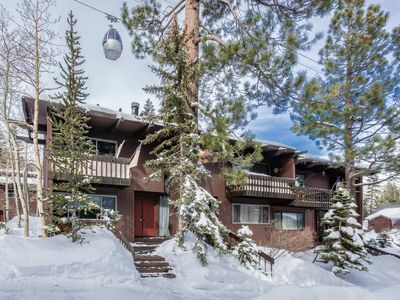 This condominium complex is located just off of Old Mammoth Road, putting visitors in a great location for year round fun. Grocery stores and restaurants are within walking distance. 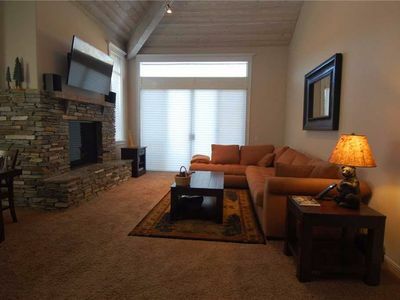 Summer activities such as hiking, biking, and golfing are all only a short drive away. 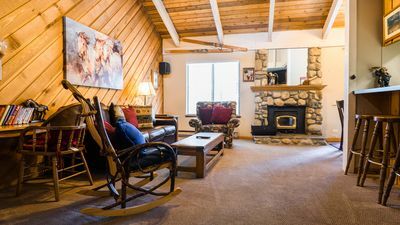 A free shuttle service stops nearby Winterset during the summer and travels to the Eagle Lodge and the Village. 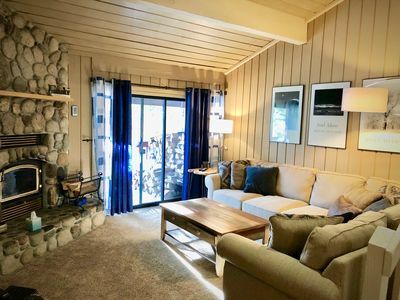 Winterset #01 has 2 bedrooms, 3 bathrooms, and a loft making it able to house up to 8 guests. 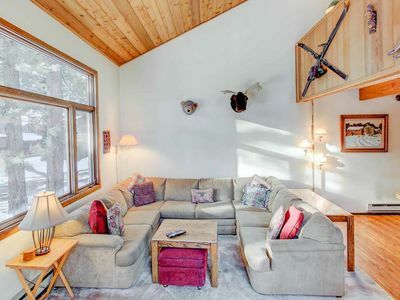 Inside this Mammoth vacation rental is a spacious open floor plan. Three common living spaces make up the home with a living room, kitchen, and dining area on the main floor. 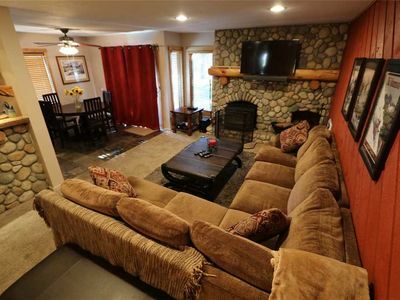 The living room is furnished with a comfortable sectional couch placed in front of a fireplace and TV. A VCR player, CD player, and WIFI are provided for your entertainment. 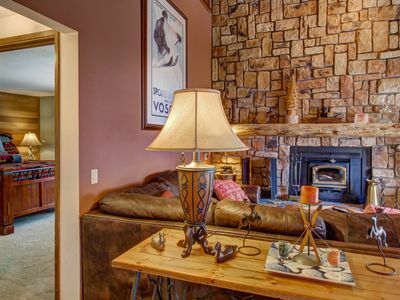 After a chilly day on the slopes, curl up on the couch with your guests in front of a fire. 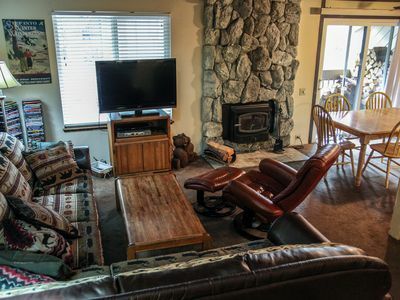 If you would like to enjoy the crisp mountain air, step outside onto the balcony and enjoy the partial mountain view. 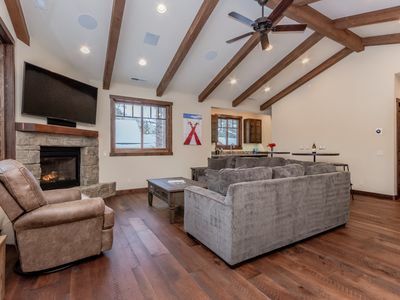 The open floor plan connects the living room with the kitchen. 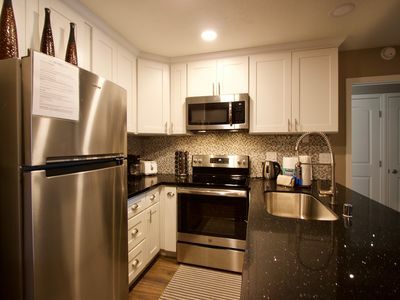 This kitchen is well-equipped for any chef to cook their favorite meals. With updated white appliances and an ample amount of counter space, you will be preparing scrumptious snacks and delicious dinners in here. Three seats are at the built-in breakfast bar creating dining space and allowing guests to keep a conversation going with the chef. 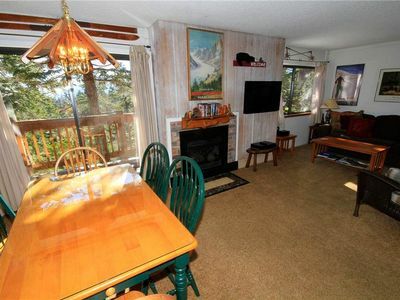 When you are ready to sit down for a home cooked meal, the dining table is just steps away. The dining table has seating for six. As the night ends and you are ready to catch up on some rest, go downstairs for the two main bedrooms. The master bedroom has a Queen-size bed, a flat screen TV, and an attached bathroom for privacy. The master bathroom has a standalone shower and a spacious vanity. Down the hall is the guest bedroom, similarly presented with a Queen-size bed and attached bathroom. This guest bathroom has a shower/tub combo. A second guest bathroom can be reached near the living room for all guests to access. Upstairs in a bonus lofted room. This area is suitable for accommodating the kids. 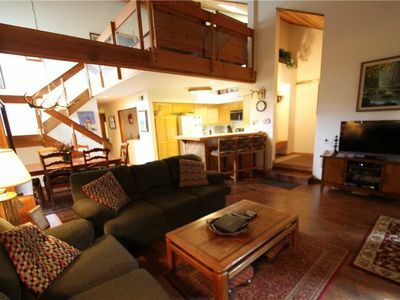 The loft has a Twin over Full bunk bed, a Twin with trundle, and a large TV. Winterset offers 2 assigned outdoor parking spaces to ensure you a spot for your vehicle. Afternoons can be spent in the complex's fenced in swimming area. There is a pool (summer only) and hot tub in this fenced in area. 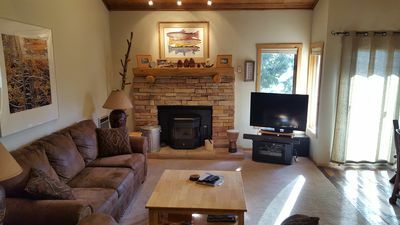 Ski-In/Ski-Out Condo At Sunstone Lodge! 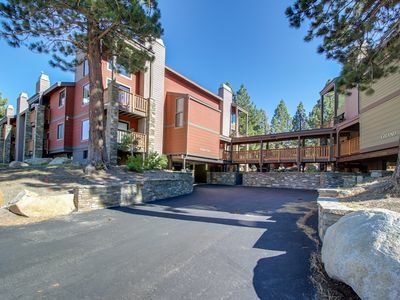 Great Complex Amenities! Rustic. 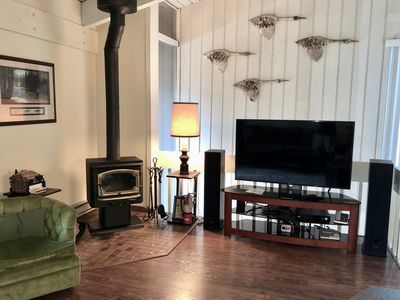 Centrally Located Condo. Walk To Shops And Restaurants! Last Week for Eagle Skiing! 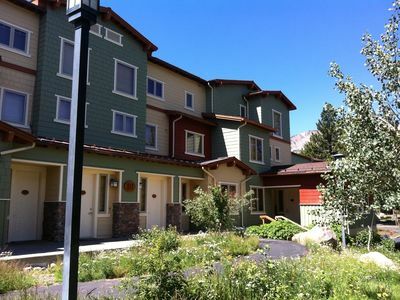 Walk to Mammoth Mountain, enjoy a shared hot tub, pool, & more! 4 Minute walk to The Village & Gondola! 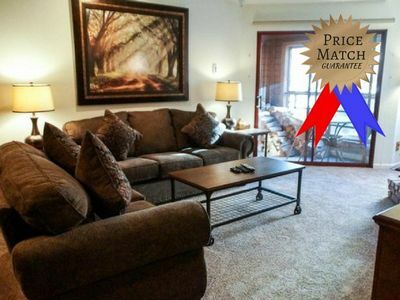 Enjoy a large, well-lit Townhouse! 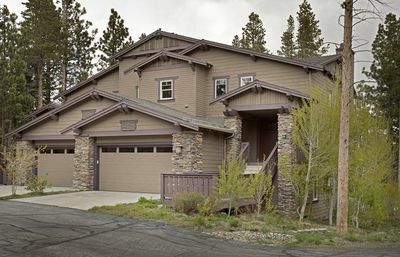 Chamonix #70-Brand new remodel throughout! 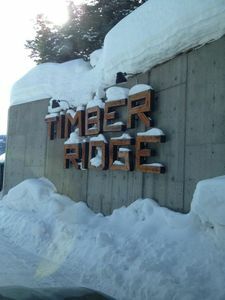 Walk to the lifts at Canyon Lodge! 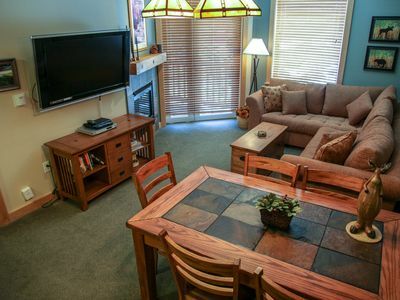 A lovely place for a family vacation with a shared pool, hot tub, sauna & more!